Well, look who woke up after a long winter’s nap! it’s midnight—and he's all rested up and ready to roar! usually a solitary creature, midnight has grown rather Lonely lately—and he's ready to forage for fruit, nuts, and friends. With his solid black coat of softness, will he find a friend in you? Meet shadow, our shaggy American black bear! 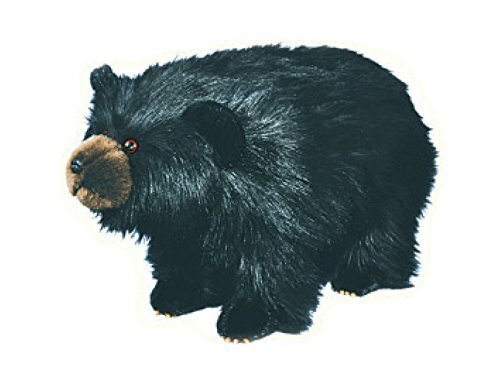 shadow lives and lumbers through the forested regions of the North American continent, eating berries, shoots, and Honey. 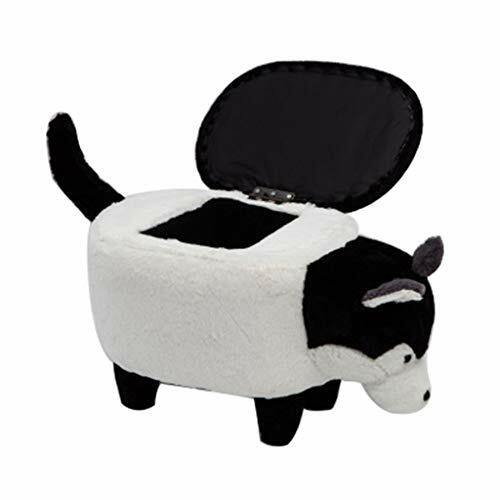 But when it’s time for a little rest and relaxation, shadow would like nothing more than to hibernate in your den! Welcome to the wild West, where Buffalo wander the prairies and plains! 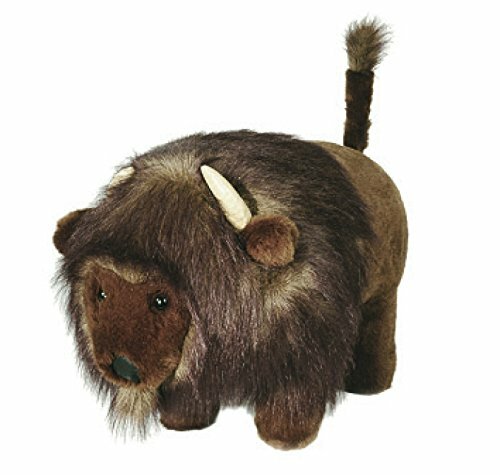 Billy the Bison loves to wallow and play in the cool River valleys—his shaggy brown fur and black-tipped mane can get a little warm. A social animal, Billy loves to be with his herd, grazing the grasses. Do you have a home where Billy can roam? 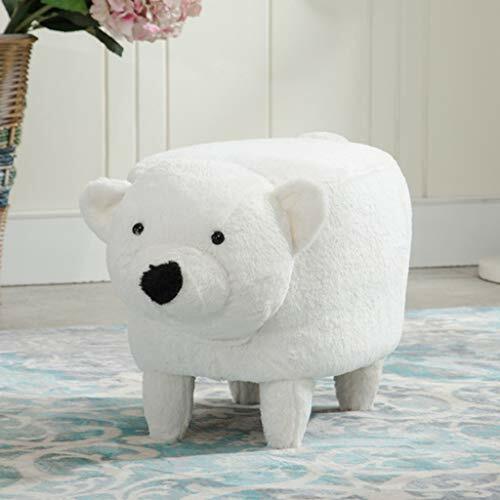 Footrest Stool With Vivid Adorable Animal shapeSIZE: L*W*H: 63x36x35cmFeatures: The Creative And Confortable Foot Rest Stool Is For Kids And Adults Safe Wood Legs, Sturdy And Firm Wood Legs For Reliable stability. 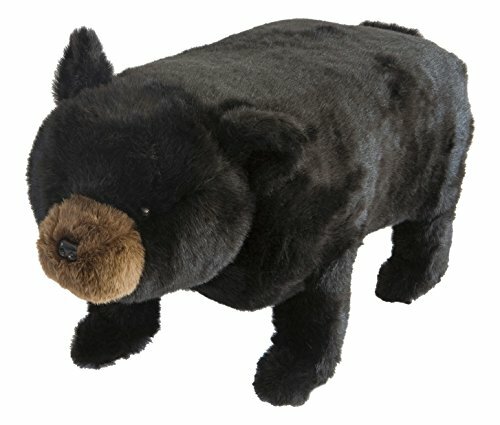 It Is Easy assembly.Seat With Thick Padded Cushion Offering Added comfort.Animal Shaped Is Perfect For Those Looking For A Daring Addition To Their Living Room.For Children And Pets, It Is Also A Good Toy.in A Child's Room, Providing A Spot To Perch When It's Time To Read A Bedtime story. Color: black, gray huskiesThis child's storage and bench is a creative and chic design that is the perfect choice for adding more fun and quality to your home.feature: - Creative and chic design: the best choice for home life. - High-density rebound sponge on the surface, comfortable and non-deformable seat - Fixed mattress with non-slip, wear-resistant and silent legs. - Used as a storage and bench to meet your multi-functional needs.specification: - material: plush - Leg and frame material: solid wood - Load capacity: 150 kg - Stool size: 72x35 x 36CM - Gross weight: 6 kg - Volume: 0.057cbmTarget audience: adults, children and others who need to store.prompt:1. 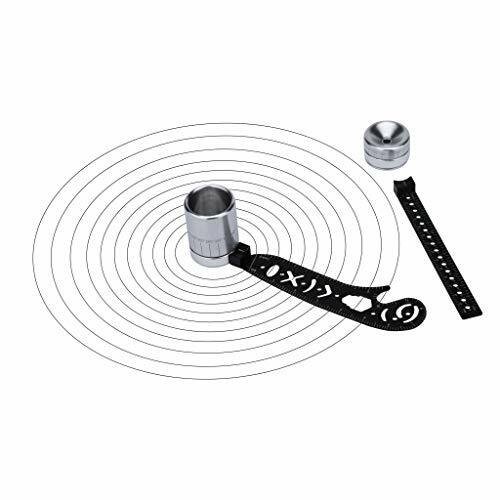 It is normal to measure all dimensions manually, with an error of 1-1.5 cm.2. The actual color of the product may differ slightly from the displayed image due to differences in the display screen or light reflection during shooting. 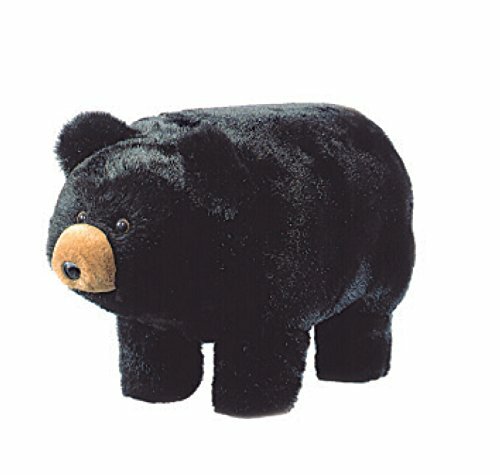 Stress Reliever Simulated Cute Bear Scented Slow Rising Kids Squeezable ToySelling pointThis is a high aesthetic, creative, black walnut wooden roll holder Preferably wood, finely polished, horizontal with European beech, wood is fine, thread is continuously polished to fine Intimate thread can be adjusted to length, can adapt to various brands of paper towelsThe color difference and wood grain of the wood products are naturally formed, and each product is unique. There are no two pieces.Do not store or use it in direct sunlight, high temperature and humidity, extremely dry environment or fire source. 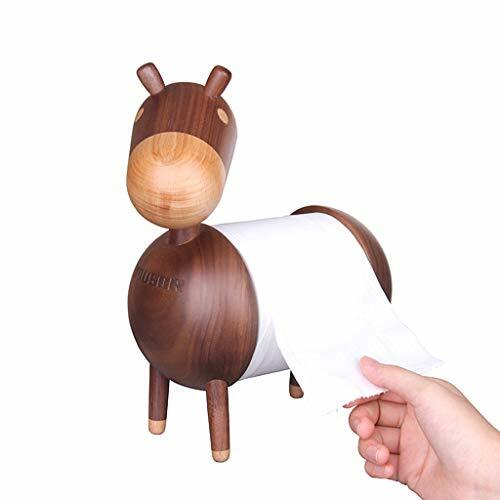 Description: Product Name: Small donkey paper towel holder Function: Roll paper Material: Black Walnut / Beech Packing: kraft paper box + pearl cottonNet weight: 850g Applicable occasions: paper towel holder, table top decoration, etc. Package included:1 Pc Small donkey paper towel holder(The product does not contain paper towels) Attention Shipping:Thanks for your purchasea. We shipped the product from China. And it usually will take about 15-25 working days to arrive sometimes will be a little delay as the customs.